Setting SEO benchmarks and surpassing them will help you improve your search engine performance. And in this post, I’ll show you how to benchmark SEO using Pagezii Tools. But let’s start with a definition of SEO benchmarking. SEO benchmarking is a systematic audit of your SEO performance. So, setting an SEO benchmark means you’ll have to grade SEO performance. To benchmark SEO, you first have to quantify your performance. And you can do this using Pagezii’s SEO Analysis Report. 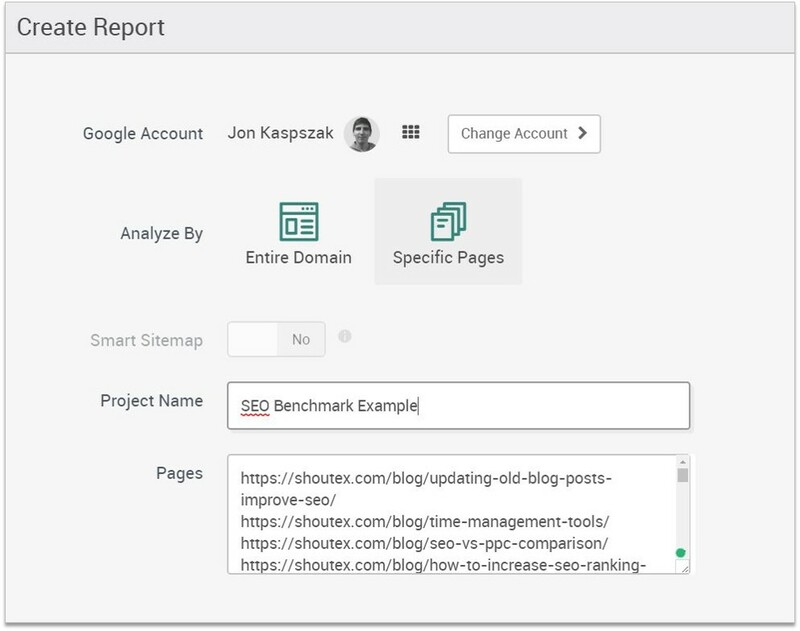 In the Report setup screen, you can analyze site SEO by domain or by specific pages. For SEO benchmarketing, we’re going to use the project pages option. 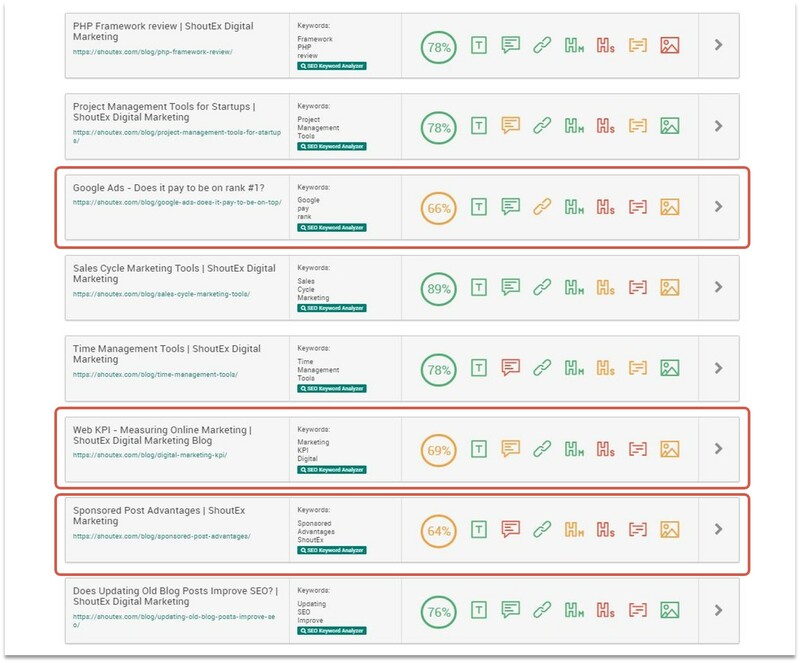 The projects option works well for SEO benchmarking. Because different sections of your site will have varying SEO scores. A solutions page and a blog post are two different content formats. Your solutions page might only contain a few hundred words. It’s also more difficult to optimize these pages for a specific keyword. But a blog post is different. This type of content is much meatier. You’ll see larger word counts, more images, and more headings and subheadings. This gives you a lot more room to work with when it comes to SEO. So make sure you have to factor in these content traits when benchmarking SEO performance. For our example, we’re focusing on /blog/ content. Let’s run the report and start SEO benchmarking. Shareable report – giving you an SEO overview. Project Pages – giving you a detailed breakdown of each URL. To set your SEO benchmark, visit the shareable report first. 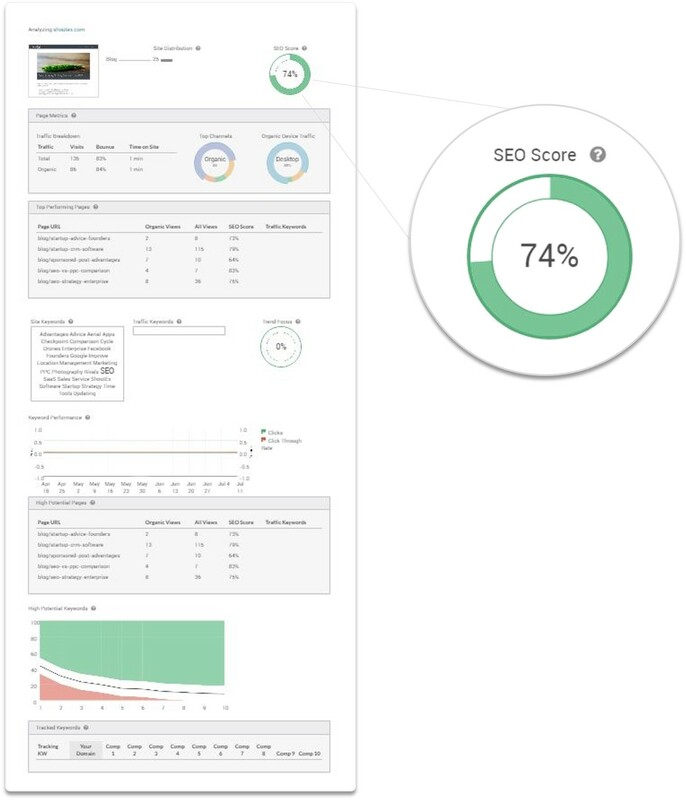 When you click this report, you’ll see your SEO performance overview. And in the top right-hand section of your report, you’ll see your average SEO score. Your average SEO score is going to act as your benchmark. We now have a target SEO score, so let’s pinpoint URLs which need SEO improvement. To spot under performing pages, visit your Project Pages report. When you click the report, you’ll see a detailed SEO breakdown for your URLs. Now you can sift through your content and find exactly what URLs are performing below your benchmark. At this point, we’ve set our SEO benchmark and found out which URLs need SEO improvement. So now it’s time to put on your optimization cap and improve on-page SEO. Need a brush up optimizing on-page SEO elements? No sweat, we’ve created a step by step guide you can use to optimize site content. And once you’ve brushed up, grade your pages on the fly using the SEO grader tool. What did you think of our 4 step process on how to benchmark SEO? Would you include any other steps? Let us know in the comments below.